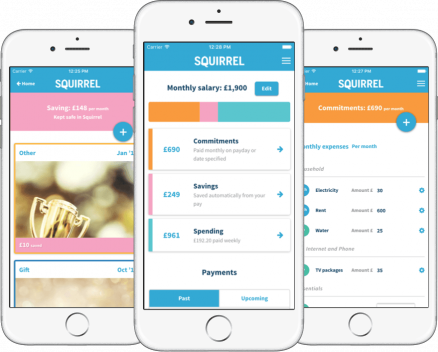 "Stops you frittering away cash"
"This clever app will help you avoid blowing your salary!" 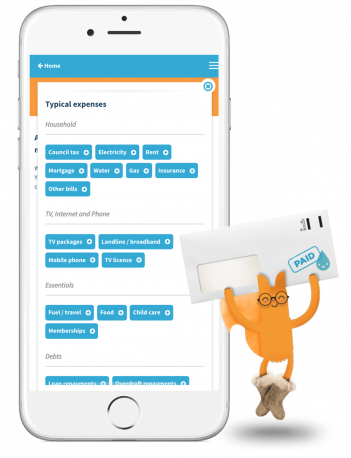 "A bit like having your mum in charge of your money"
No more worrying about whether there’s enough left to pay the bills at the end of every month. With a weekly allowance and bills sorted, no longer will you be tempted to dip into your savings. 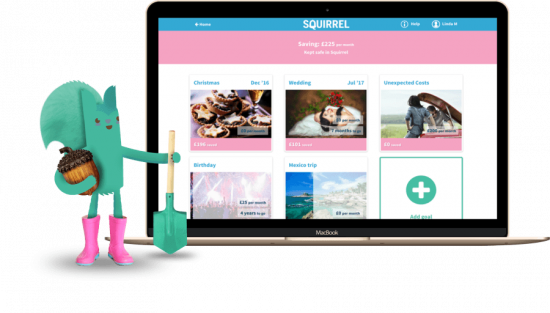 Everything’s done automatically with Squirrel so you can get on with stuff you want to do – like spending money you can afford to spend! Tell us about your monthly expenses like rent, your savings goals like cars, and expensive upcoming events like Christmas or birthdays. 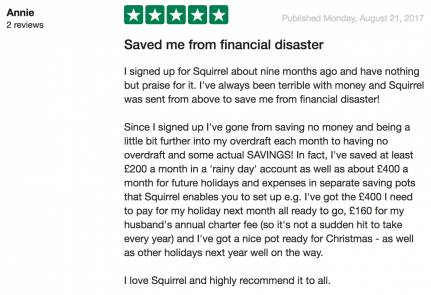 Transfer your income or ask your employer to pay directly into your FCA-regulated Squirrel account. 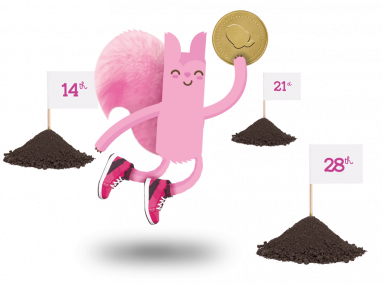 We’ll hold back money for savings and bills, and the rest goes straight back into your regular bank account. Your bill money is kept aside and only paid out to your regular bank account the day before they are due. No more overspending! With overspending a thing of the past, you can sit back and watch your savings grow as your goals become realities. With a weekly allowance you know you can afford. Then only £3.99 per month. If you decide Squirrel isn't for you - no problem. There's no commitment and you can cancel online at any time and receive all your money the next working day. 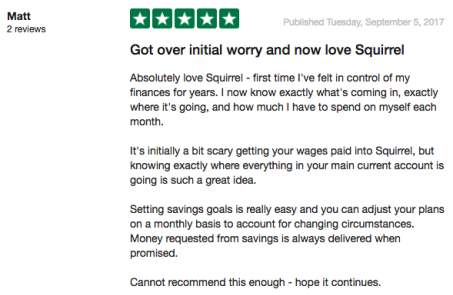 Say goodbye to concerns and hello to savings. Registered Office: 36 Carnaby Street London, W1F 7DR.